Three million girls a year in Africa alone are at risk of female genital cutting (FGC) and 140 million women worldwide live with the harmful consequences of this human rights violation. FGC is a social norm, and it is changing at the grassroots where communities are abandoning thanks to human rights based community empowerment. Across West Africa the message is spreading from person to person, village to village, and inspiring people elsewhere, too. Around the world a movement is growing with individuals, organisations and communities pushing for an end to the practice and we are harnessing this online. Foot binding ended in China in less than 20 years at the turn of the 19th-20th century; FGC could go the same way and we know that the web, social media, new mobile technology all have a part to play. Born out of success on the YouTube Davos Debates in 2010, Orchid Project believes an end to FGC is possible, and that by building an online movement, we will see this within a lifetime. I'm an international development professional with a passion for women's rights and human rights, and a knack for getting other people excited about important issues - in diverse ways. 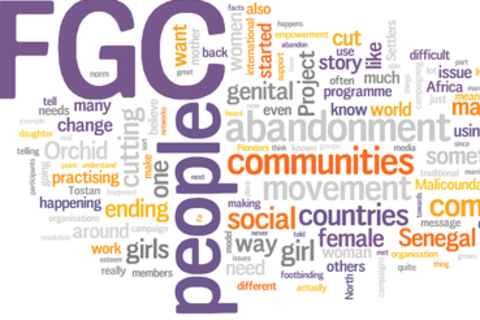 I currently manage the programmes of a start-up charity working to end female genital cutting globally, working with organisations around the world, as well as influencing policy and decision-makers at the highest levels. I've worked in fundraising, communications, advocacy, policy and programming - and on such diverse issues as children's hospices, social care and youth development. I'm a qualified coach and passionate about personal development, using NLP and Clean Language. Speaking at SXSW Interactive on the topic of building a movement online to end female genital cutting.